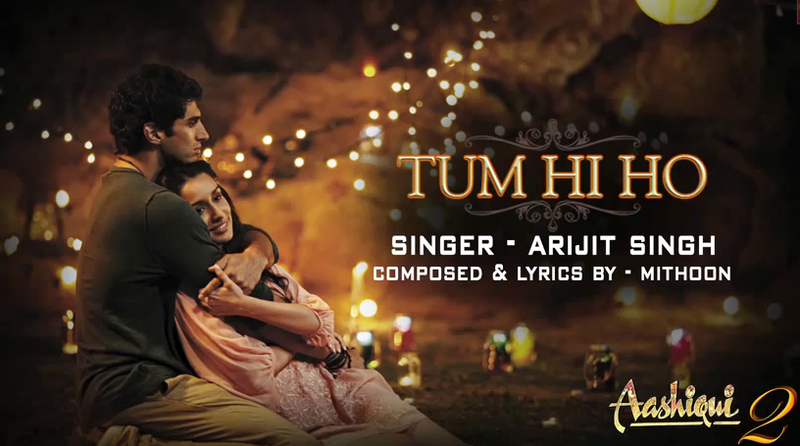 Tum Hi Ho (or Meri Aashiqui) is a title song from 2013's Indian musical movie Aashiqui 2, sung by Arijit Singh. Starring Aditya Roy Kapoor and Shraddha Kapoor in main lead roles. 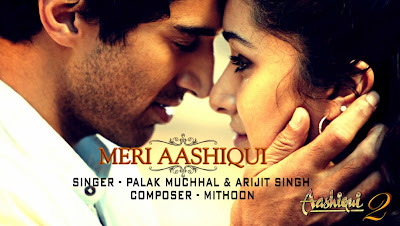 Meri Aashiqui song also sung by Palak Muchhal and Arijit Singh in second version of this song. The music composed for both songs 'Tum Hi Ho' or Meri Aashiqui' by Mithoon. The Aashiqui is rise as the big musical movie of the 2013. To khud se hi ho jaayenge juda..
Meri aashiqui ab tum hi ho..
Tera sath mera hain naseeb juda, Tujhe paake adhura na raha..
Mujhe tumse mili apni ada..
Tum hi ho.. Tum hi ho..